FANBOY PLANET.com . : js-panthersrage :. The biggest story in comics over the last five years is the rise of the graphic novel. Comic series are now most often written so that they can be collected together in trade paperback form. There are reports that some writers are being told to extend their plots in order that they will better candidates for collection into trade paperback form. In many ways great for the industry, but it is a real sea change from the way that comics used to be done. It used to be that closed plotlines were by far the exception rather than the rule. That doesn't mean that there were no comics that had stories intended to be read as a full novel. For example, there were real character arcs in Spider-Man and the Fantastic Four over time. But there were few stories created as one long novel with a beginning, middle and end. It wasn't until the 1970s that this approach even began to be considered. The 1970s were an odd era at Marvel comics. The line was continually expanding. Though editors would keep a watchful eye on what was being done in the top-selling comics such as Amazing Spider-Man, Hulk, Avengers and Conan, the comics that had lower but steady sales weren't looked at as closely. Because of this benign neglect, many interesting and unique series were released in during those years. One of the most distinctive is the comic that can be seen as Marvel's first true graphic novel, "Panther's Rage." 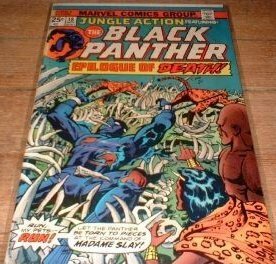 Marvel had produced many great comics in the '60s and '70s, but "Panther's Rage" is the first comic that was created from start to finish as a complete novel. Running in two years' issues of Jungle Action (#s 6 through 18), "Panther's Rage" is a 200-page novel that journeys to the heart of the African nation of Wakanda, a nation ravaged by a revolution against its king, T'Challa, the Black Panther. Writer Don McGregor's intelligent and passionate novel explored the country and its ruler, chronicling the often complex and contradictory impulses felt by people in real life. There is pulse-pounding action and excitement in this arcl, but with an interesting philosophical side. It's really like no other comic written before and since, and works extremely well as a complete novel. 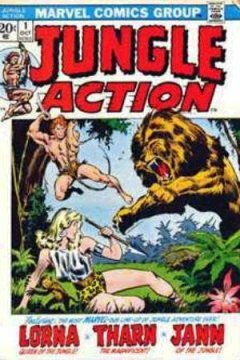 Originally, Jungle Action featured reprints of old 1940s and '50s stories about white jungle warriors like "Lorna of the Jungle." The stories are painful to a modern eye, racist, ridiculous and old-fashioned. With issue five, it was decided to place The Black Panther, at that time as now a member of the Avengers, in his own series. Issue five was a reprint, but with issue six, McGregor, previously an assistant editor, joined artist Rich Buckler to create the first chapter of an ambitious work. It's a spectacular piece that is exciting on more than one level. The series begins with a brutal battle between the rebel Erik Killmonger and T'Challa, and then moves to battles between T'Challa and Killmonger's lieutenants like the fascinating Venomm and the evil Baron Macabre, master of zombies (zuvembies?). The Panther also battles natural forces such as a rhino (in issue 9, gorgeously illustrated by the great Gil Kane) and the awesome white gorillas of Wakanda (in issue 13). The action is wonderful, but what's more striking about the comics is the absolute passion and commitment in the comics. The long captions that McGregor is famous for are really pervasive in "Panther's Rage," but they only add to the story, working on a deeper level to intensify and deepen a reader's understanding of the events. T'Challa passes through a physical and emotional gauntlet before Killmonger is finally is defeated, and McGregor's writing brilliantly conveys T'Challa's extreme exhaustion from all his ravaging battles. McGregor is amazing at conveying the doubts even a great king like T'Challa feels with the burdens of his office, even as the Panther escapes the latest fate that traps him. Perhaps the page that best conveys the feel of "Panther's Rage" is the last page of issue 16, the next-to-last chapter of the story. It goes against the grain. At this point in the story, the Panther is at the mercy of Venomm, a man who had nearly defeated T'Challa earlier. Venomm has the ability to control snakes, which are rapidly closing in on T'Challa and his fellow warrior Taku. Taku and T'Challa are at Venomm's mercy and there is no way to defeat the man with force. Instead, Taku uses his emotions and intelligence to get Venomm to stop attacking and, in fact, give up his part in the revolution. One might expect, based on the usually violent nature of comics, that Venomm would ignore Taku's entreaties and continue to try to kill T'Challa. Instead Venomm chose a non-violent path that was espoused by a man he had become friends with. Taku had been taking pains to visit Venomm in jail, trying to reach the good soul he saw living under Venomm's scars. Having Venomm walk away from a fight shows tremendous personal growth in the character, and also shows how a good man like Taku, through the power of honest friendship, can help his friend turn his life around. McGregor has often referred to the relationship between these two characters as being the most dangerous one in the comic and it's easy to see why. What's also interesting is the nature of the conversation. Instead of pleading with Venomm, Taku takes the highest possible road. He appeals to Venomm's intellect, building on conversations the two men had had in previous issues, pushing Venomm towards a moment of clarity. It's a very human moment in the midst of a very human story. That's the power of this novel in particular and McGregor's writing in general - the feeling that things aren't just happening to characters, but that people with brains, hearts, libidos and passions are living through unique experiences. The characters are fully fleshed out, rather than the two-dimensional "Hulk smash" qualities of most mainstream comics. I was trying to think of other comics where a violent threat ends without the use of more violence, and the only story that popped to mind was Alan Moore's first Swamp Thing story, where Jason Woodrue is trying to destroy the "flesh" in the world so plants, "the green" as Woodrue calls it, can rule supreme. Swamp Thing, recently having come to peace with his inhuman nature, confronts Woodrue. Woodrue asks him, "Why do you want to stop me?" Swamp Thing looks at him, with great calm in his eye, and says "Because you are hurting the green." Woodrue quickly feels his power escape him. The power of peace beat the power of violence. It's a tremendously satifying moment because it comes from the characters themselves. The same is true of this page. "Panther's Rage" is pretty much forgotten now. Though it's an outstanding comic, it also reads at times like a comic from the 1970s. The recent Black Panther series was an interesting, and very different, exploration of the character, and it makes sense that Marvel fans would dwell on that comic more than this one. But "Panther's Rage" is worth seeking out. 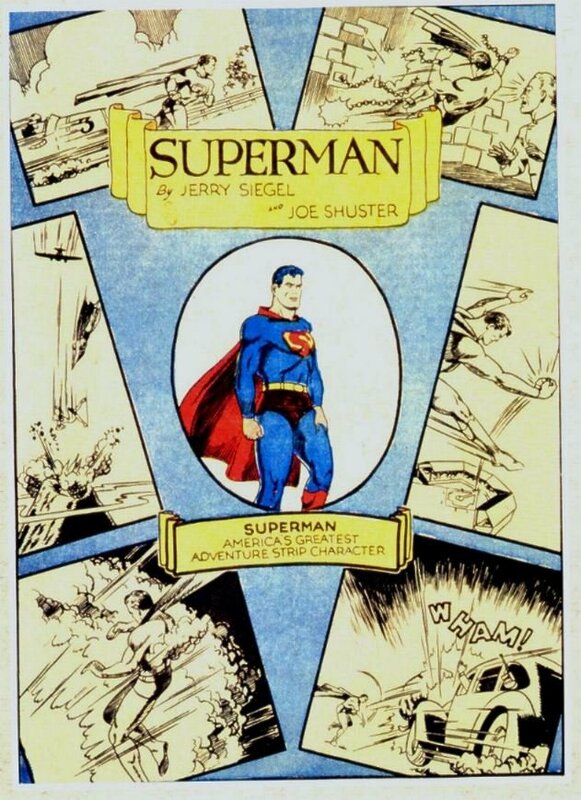 Jason Sacks wrote this article for Once Upon a Dime and Fanboy Planet back in 2003 -- he is now currently the excellent editor-in-chief of Comics Bulletin. Copyrights and trademarks for existing entertainment (film, TV, comics, wrestling) properties are held by their respective owners and are used with permission or for promotional purposes of said properties. All other content ™ and © 2001, 2014 by Fanboy Planet™. If you want to quote us, let us know. We're media whores.